Save On Recreational Vehicle Insurance! PLEASE NOTE - We are ONLY able to quote recreational vehicle insurance IF you combine it with your home or car insurance. You will get a lower rate by doing this. We can save you money on your insurance! With three simple steps, ThinkInsure shops multiple insurance carriers to find the best combination of cheapest price and best coverage for you, saving you both time and money. We make the process of buying insurance as quick and simple as possible. 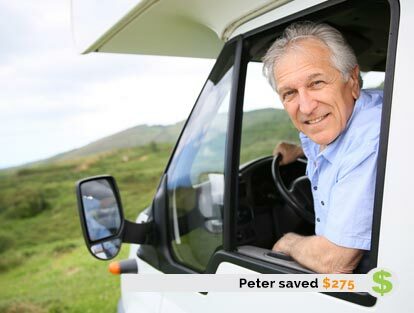 Whether an online quote OR by phone 1-855-550-5515, choosing the best recreational vehicle insurance coverage at the cheapest price in Ontario has never been so easy. It's a quick and easy way to save on your insurance! We're not trying to sell you only on one single offering - as banks or insurance companies do. We get you a range of insurance quotes from leading Ontario insurance carriers so we often can get you the cheapest insurance quotes saving you money. Serving Ontario for over 40 years, see why thousands choose ThinkInsure for their recreational vehicle insurance needs. When you think insurance for your adventure vehicles - think ThinkInsure. Click now to get your recreational vehicle insurance quote OR call 1-855-550-5515 to talk to a recreational vehicle insurance specialist. ThinkInsure has been offering ATV, Side by Side and other Off Road vehicle insurance coverage for many years in Ontario. ThinkInsure shops multiple insurance carriers to find you the best combination of price and coverage so you can enjoy your off road adventures. With access to many high quality ATV, Side by Side and Off Road vehicle insurance carriers in Ontario, ThinkInsure can find you cheap rates and great coverage. We provide insurance coverage for all the top off road vehicle brands including, Honda, Kawasaki, Yamaha, Polaris, Can-Am and more. Discover why Ontario off road adventurers are turning to ThinkInsure for their ATV, Side By Side and other off road vehicle needs. Request an insurance quote and start saving today OR call 1-855-550-5515 to talk to an off road vehicle insurance specialist. 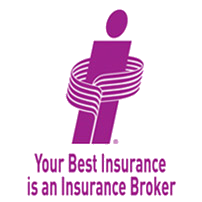 For more than 10 years, ThinkInsure has been offering its clients Ontario boat insurance. Thinkinsure works with multiple boat owners insurance carriers that offer coverages for many types of boats including speedboats, sailboats and yachts. Available boat owners coverages can help protect more than just your boat. Most insurance policies include liability coverage which includes protection for your passengers and liability for water sports activities. Damage to furniture, the hull, sails, and machinery are generally covered by boat owners insurance. Discover why Ontario boaters are turning to ThinkInsure for their boat insurance needs. Request your boat insurance quote today OR call 1-855-550-5515 to talk to a boat insurance specialist. ThinkInsure has been offering personal watercraft PWC insurance coverage for many years in Ontario. ThinkInsure shops multiple personal watercraft PWC insurance carriers to find you the best combination of price and coverage. With access to many reliable and high quality Ontario personal watercraft PWC insurance carriers, ThinkInsure can find great rates and coverage for any type of personal watercraft. We provide insurance coverage for personal watercrafts including, Sea-Doo, Kawasaki, Yamaha, and other brands. Discover why Ontario water goers are turning to ThinkInsure for their watercraft insurance needs. Request your personal watercraft PWC insurance quote today OR call 1-855-550-5515 to talk to a insurance specialist. ThinkInsure has offered RV, Motorhome and Camper Trailer insurance in Ontario for more than twenty years. ThinkInsure shops multiple high quality Ontario RV, Motorhome and Camper Trailer insurance carriers to find you the best combination of price and coverage so you can enjoy your traveling adventures. It is vitally important to protect the property within your RV, Motorhome or Camper Trailer just as it is to protect the vehicle itself. While most RV insurance carriers can cover a rented RV, Motorhome or Camper on a short-term basis, owned vehicles deserve the insurance protection available through specialty carriers. After you complete your RV, Motorhome or Camper insurance quote request, you will be contacted by a ThinkInsure representative! Our representatives will provide you with not one, but many RV insurance carriers' rates that meet your recreational needs. Discover why many Ontario travellers are turning to ThinkInsure for their RV, Motorhome and Camper insurance needs. Request your RV-Motorhome-Camper insurance quote today OR call 1-855-550-5515 to talk to an insurance specialist. ThinkInsure offers over twenty years experience in finding clients great rates on Ontario off road motorcycle insurance coverage. ThinkInsure shops multiple motorcycle insurance companies to find the best combination of price and coverage for you and your motorcycle. Discover why Ontario riders are turning to ThinkInsure for their off road motorcycle insurance needs. Request your off road motorcycle insurance quote today OR call 1-855-550-5515 to talk to recreational vehicle insurance specialist.